Reaper’s tryhard edgelording is partially on Blizzard, which has given the character sharp lines such as “DIE, DIE, DIE.” But players who play Reaper also make him seem like a ridiculous character, too. The excellent @reapernames Twitter account collects screenshots of actual Reaper players in the wild, and they all have amazing names. Sometimes, the names are spot-on, and they fit Reaper perfectly. Other times the names are so silly that it’s hard to imagine a Reaper ever referring to himself in that way. This of course only makes Reaper seem that much more hilarious as a character, something that you wouldn’t expect from just looking at his character design. The Overwatch community has basically changed the way I look at the character in-game, and it’s great. 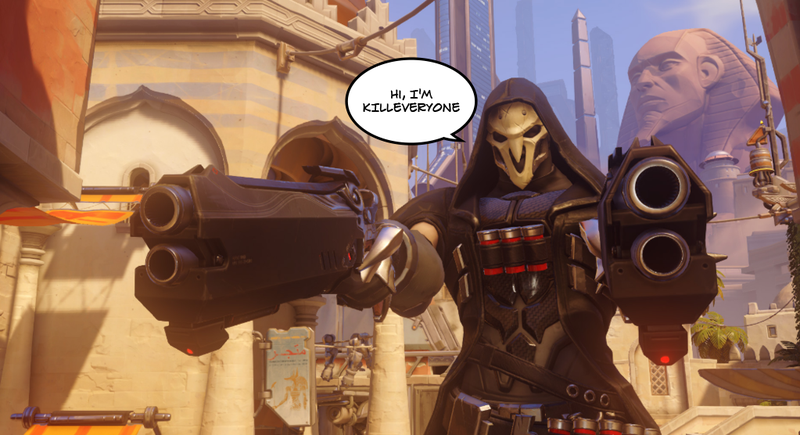 Have you spotted any good Reaper names while playing Overwatch? Feel free to share in the comments, or to send them in to @reapernames as well!